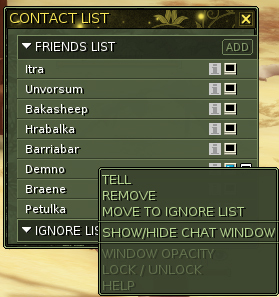 I must disagree with removing "leave team" from the right click on area menu. I use it all the time. 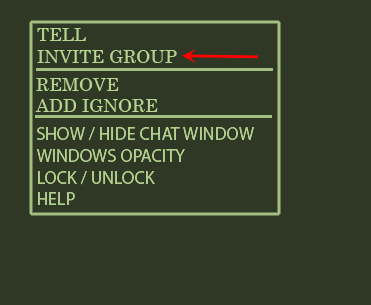 What do you mean by "Invite group"? 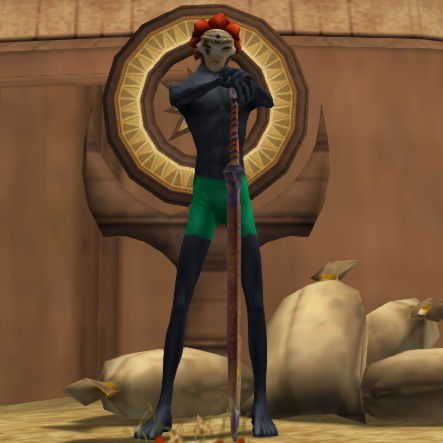 I can't tell what it is so I don't know if I'm for it or against. ah didn't even realise there were 2 suggestions. ye not a fan of the leave team part aswell. invite group is like /invite, for teaminvite, it would make adding friends easier. OK, I wouldn't call it "invite group", I'd just call it "/invite", but I agree that it would make things easy to invite friends to team. Unfortunately for that, most of the teams I end up inviting are not on my friends list. 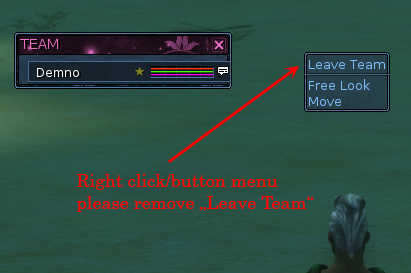 If it's easy to add, I'd say it was OK.
Thumbs Down on remove "Leave Team"
Regarding "Leave team", I've cursed the interface designer more than once. If you're trying to loot a mob and the corpse disappears, the very next option in the menu is "Leave team". Simply moving the menu entry further down would solve this problem..